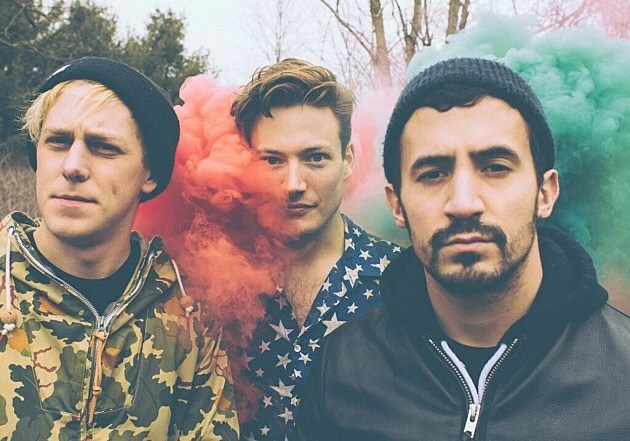 Canadian band The Dirty Nil put out their newest album, Higher Power, last month via Dine Alone. And if you haven’t heard it, it’s a driving, hook-filled album that hits that sweet spot between punk and ’90s alt-rock. The band have now made a live performance video for its track “Wrestle Yü to Hüsker Dü,” which guitarist/vocalist Luke Bentham describes like this: “12 broken video cameras + illegal smoke bombs in confined spaces = The Dirty Nil live experience, captured for you in glorious VHS format.” That video, directed by Ben Rispin and Lee Skinner, premieres below. The band also have a number of tour dates coming up. They’re playing SXSW, they just added a UK/Germany run, and there’s the BrooklynVegan-presented US tour with Restorations and Creepoid. That run hits NYC on March 25 at Rough Trade. Tickets for that show are still available. Updated dates are listed below.